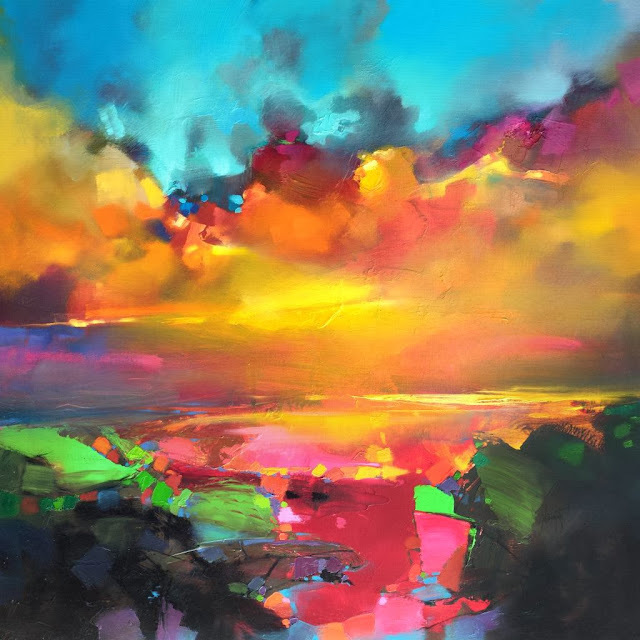 I am so taken with Scott Naismith's colorful and stunning landscapes. 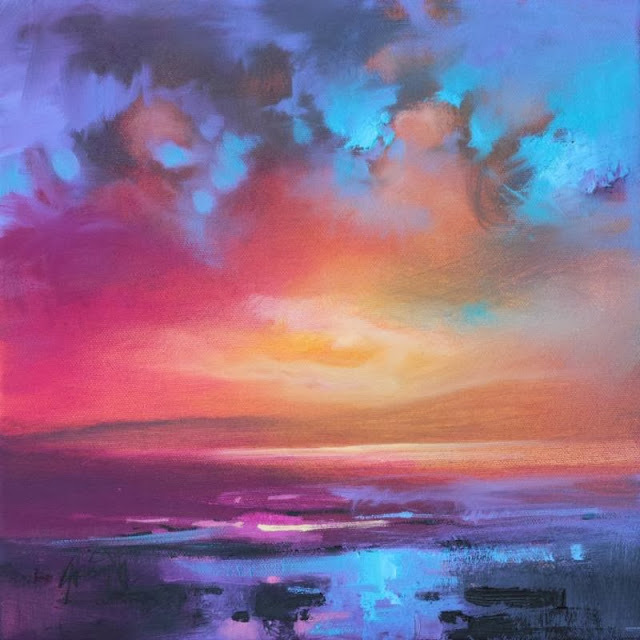 His sky studies are breathtakingly beautiful and convey the magical power of nature that can leave one awestruck. I love his use of color and brushstrokes. 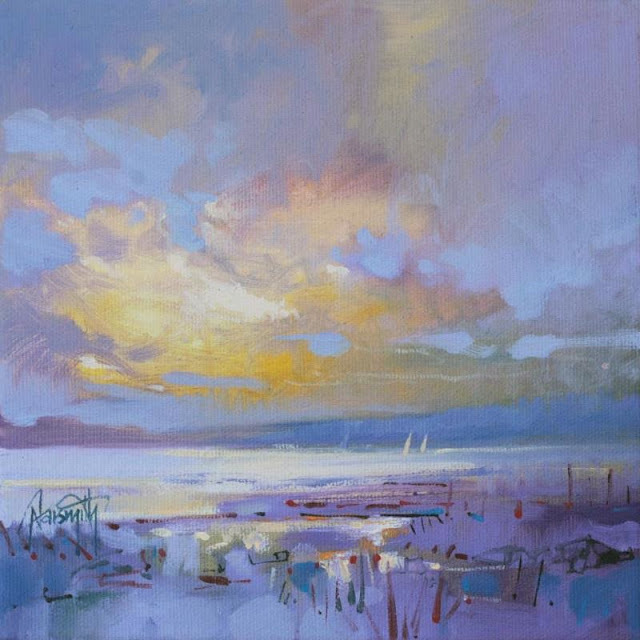 Scott's studio is in Glasgow, Scotland and he travels the Scottish countryside for inspiring landscape scenes to paint. 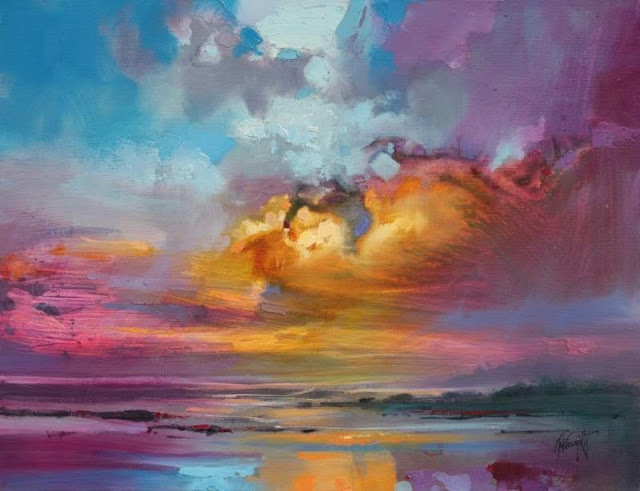 Be sure to visit Scott's website to see his other beautiful paintings. Thank you for inspiring me today Scott!